Alejandra Reyes (*1992, Mexico) studied architecture at the Tecnológico de Monterrey, Mexico City Campus and received her degree in 2014. During her studies, Alejandra did an internship at WRI Mexico, where she supported urban development workshops and developed a Lego® Toolkit for used for participation and planning processes. She collaborated with the NGO Nuestras Realidades in tracing accessible routes in the Mexico City and with 128 arquitectura y diseño urbano in projects to recover and improve some public squares in Iztapalapa, one of the most marginalized municipalities in the city. 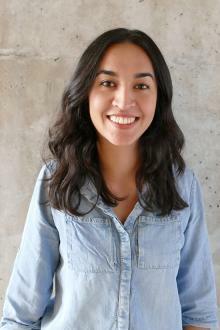 After graduating, she has collaborated with some architectural firms in Mexico City (DEA, Artigas Arquitectos and Gaeta-Springall Architects) where she had the opportunity to get involved and coordinate projects ranging from interior design and social housing to public spaces and institutional buildings. Miryam is a graduate of the School of Landscape architecture and planning at the Technical University of Munich, Germany. Her passion for travel and international landscapes and places led her to internships in Mexico City and Portugal and further solidified her interest in the urban environment. During her studies, she worked as a student assistant supporting the first year design projects. 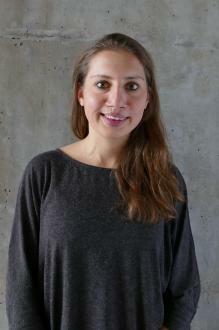 Her bachelor thesis on the outdoor spaces of temporary refugee housing in Munich, sparked a deep interest in the sociological aspects of design. After graduation in 2016 she worked for a landscape architecture firm in Freising, where she gained some experience in competition work. 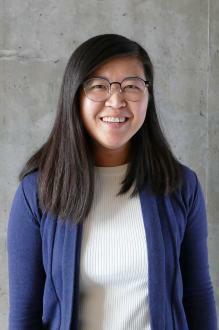 By joining the IUSD single degree program in 2017 she hopes to gain knowledge of participatory processes and urban design that empowers people. 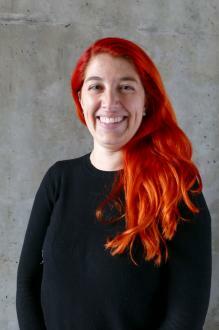 Andréia (*1983 São Paulo, Brazil) graduated in Architecture and Urbanism bachelors in 2005, Graphic Design in 2011 and in Management of Urban Plans and Projects specialization in 2014. During her bachelor studies, she developed with some colleges an academic project chosen to be exhibited in the 6th International Biennial of Architecture of São Paulo. Since the start of her studies, she began working for Dersa, a government controlled company, with road infrastructure and urban mobility in the State of São Paulo. Being involved in the feasibility studies, reports and design requirements for the State new projects, she worked also with the identification and delimitation of affected resettlement areas around new projects, including study of social vulnerability of low income population. The main projects she was involved were the São Paulo Metropolitan Area Beltway and Santos Guaruja Submerso Tunnel Project. For the last one, she coordinated the review of architectural and urbanistic designs and the urban mobility integration enhancing plan, in collaboration with the Dutch Cycling Embassy. In 2014, she represented the State of São Paulo in the Influentials Programme, supported by the government of the Netherlands, in the field of “Smart Cities and Urban Mobility”. 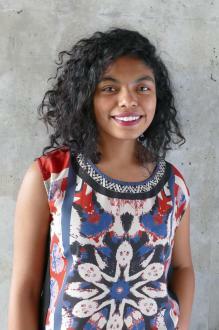 Paola owns a Licentiate degree in architecture from the University of Costa Rica. During her studies, she collaborated as a research assistant (4 years) in the Research Program in Sustainable Urban Development (ProDUS-UCR) from the University of Costa Rica, and after her graduation she continued working at the program as Researcher Architect (2,5 years). In ProDUS, Paola was part of an interdisciplinary group, she got experience working on topics as territorial ordering, public spaces, architectonic and cultural heritage, involuntary resettlement, tourism, formal and informal settlements, infrastructure for bicycles. Through out her work, her interest on the urban topics grew stronger, therefore, she developed a licentiate thesis focused on urban analysis, design of a Master Plan and a renovation strategy for a degraded sector of San José (capital city of Costa Rica). She has been also involved with small scale urban gardening and recovery-greenery of urban residual spaces initiatives. A visiting graduate scholar at the Tsinghua University and the University of Sydney, Piyush studied architecture at the School of Planning and Architecture Bhopal (2015), and interaction design at IIT Delhi (2017). 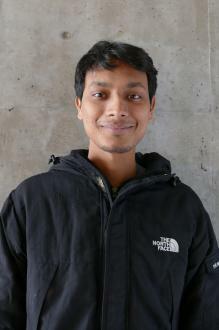 He was also a scholarship student in the International Habitat Design Studio of TU Delft, RWTH Aachen and VSF Ahmedabad. His interests constantly straddle the fields of design, technology, architecture and urbanism. However his inherent fascination lies in social design and inclusive urbanism, themes which lie at the core in most of his projects - thus his natural inclination towards the IUSD Program. His architecture thesis project dealt with participatory rehabilitation of flood victims in Uttarakhand, India. His thesis was published in the IASTE Working Paper Series, UC Berkeley which he also presented at the IASTE Conference in Kuwait. Piyush has been a part of several international design studios and internships, and worked with BV Doshi, Richard Leplastrier, Peter Stutchbury, Howard Davis, Neelkanth Chhaya and Didi Contractor. He has also excelled in many national and international competitions including IGBC, Berkeley Prize, World Architecture Festival etc. He was awarded by the Governor of TamilNadu in 2013. Anja (1990, Germany) finished her Bachelor Degree in Landscape Architecture at the Hochschule für Technik in Rapperswil, Switzerland in 2014. The opportunity to study one semester abroad at the UPV Valencia was propitious due to the exchange of different cultural views and new perspectives in the field of architecture. During her internship with an NGO in Santiago, Chile, she got the chance to join multiple participatory designs and tactical urbanism projects for short term actions in public space and long term changes in cities. Her work with a landscape architecture office gave her the opportunity to deal with private garden designs, calculation and implementation. In 2016, she wanted to pursue her interest in Urban Planning and started working for the Copenhagen Architecture Festival. On her enriching excursions, Anja discovered various cultures, learned from their lifestyles and experienced different ways of living. She has a strong passion for urban life and its interaction between built environment, the people and their quality of life. Catalina (*1990 Bogotá, Colombia) holds a bachelor degree in Architecture from the Jorge Tadeo Lozano University. 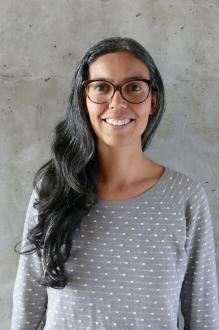 Her thesis was a proposal aiming the urban revitalisation of a neighbourhood in the central business district of Bogotá. After her graduation, she worked for different companies in her country, in Medellin and in her hometown as well. Simultaneously with her professional career, Catalina furtherer her qualifications taking workshops related with artistic expressions, public life and sustainability. Motivated by her personal and professional development she moves to Australia in 2016 to improve and acquire new skills. Living in Melbourne, she takes part of different events related with the development of the city and the strengthening of the community life. She strongly believes in the importance of the personal growth and aims to further expand her knowledge through this studies. Shruthi Athreya (*1993, India) graduated as an architect from 'Marg Institute of Design and Architecture, Swarnabhoomi'(MIDAS) in 2016. 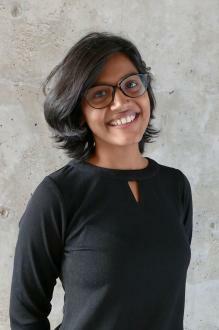 During her studies, she worked in 'Jaff Design Studio' as a research assistant and has volunteered in 'Sacred Groves', Auroville to build sustainable earth houses. She has also worked in 'Senscape architects' dealing with vernacular styles of architecture. In 2016, she spent some time in IBUKU, Bali, learning the way of bamboo structures. In 2017, she worked in 'Vo Trong Nghia' architects as an intern, experimenting more with mud and bamboo. Veronica (*1989) was born in Lima but lived most of her life in Callao, Peru. During her studies, she made a research about mental and sensorial maps titled “From Chucuito until La Punta”. In 2012, she graduated from the Faculty of Architecture and Urbanism at the Pontificia Universidad Catolica del Peru (PUCP). Her Bachelor’s thesis “Center: meeting place” was focused on the interaction between the community participation, public spaces and hybrid architecture design. Later on, Veronica acquired four years of experience in design and construction of housing, cultural, institutional and commercial projects by working in Seinfeld Arquitectos and Benavides & Watmough Arquitectos in Lima. In 2016, she attained the first place in the postgraduate specialization of Bioclimatic Architecture with Energy Efficiency at the Universidad Ricardo Palma (URP). Later that year, she was awarded with a country-related cooperation scholarship from the Peruvian government and DAAD to continue with her studies abroad. Felippe (*1988) is from São Paulo, Brazil. He studied architecture and urbanism at Pontificia Universidade Catolica de Campinas PUC. 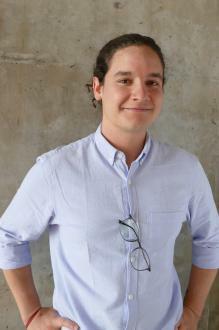 During his bachelor he produced a research about the urban transformation in the city center of São Paulo and the effect on the surrounding areas. His final thesis on Transportation direct the professional life on this field, allowing him to work in competitions of Subway extension and in the implementation of Bus Rapid Transit network in Brazil. 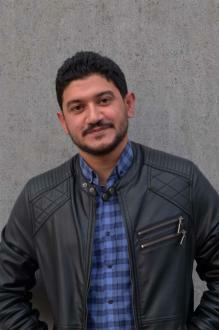 In 2014 he developed a volunteer research in South Africa on the theme of Social Housing and Urban Connection. 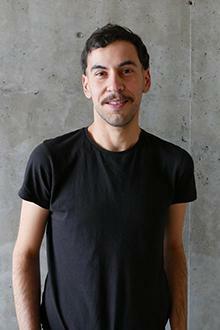 Felippe is passionate about the contemporary culture and the the transformations of society. Studying IUSD program he is interested about the challenges that global cities are facing and will face. Victoria was born in Chisinau, Moldova, 1989. Her early studies in Arts influenced her to choose multidisciplinary design at Bachelor level with strong theoretical emphasis including philosophy of culture and anthropology. She developed a curious approach on how to combine all these and therefore participated in urban regeneration by establishing a long term relationship with a group of artists, architects and sociologists in Moldova and UK. In the meantime, she experienced living, working and studying in different countries across Europe which led to undertaking a Design Master course in Scotland and focus on research about memories in public space. 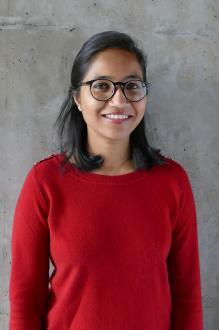 In the last three years she joined various multidisciplinary design practices in Edinburgh and London developing urban lighting design strategies and researching about circadian lighting. After having faced real design challenges and worked with renowned interdisciplinary practices in huge range of international projects she decided to continue her studies in sustainable design and promote an integrated design approach within the industry. Born in 1989, Bogotá/ Colombia. J. Miguel graduated as an Architect from the Pontifical Xaverian University (Pontificia Universidad Javeriana), in 2014 Bogotá. During his studies, he worked as a research assistant in the Carlos Arbelaez Camacho Institute for the protection of the Urban and Architectural Heritage and assisted the graphics department for the "Apuntes." (Journal of Studies on Cultural Heritage). His Bachelor thesis focused on the development of regional strategies to prevent the repetition of the displacement process in Rural areas of North Cauca, Colombia. Working in different areas such as industrial design, interior design, commercial spaces and housing design, he has always been interested in the social impact and the problems that can be addressed by the Design process. Yilin started her professional training at department of Landscape Architecture in Taiwan Chung Yuan University and received her bachelor's degree. Her graduation project focus on green infrastructure planning strategies for improving the function of urban green space, this experience draw her attention toward the complexity of urban and stimulated her desire to take deep scope into it. After few years of working on planning and construction project, she traveled to 11 city to perceive public life in there, what criteria make it livable, and the differences under distinct geography and cultural setting. During her travel, she also involve with several urban greenery initial organisation threw volunteer program and learn how they interact citizen with their living surroundings with environmental and social approaches. In the end of her long trips, she decided to carry on her career by starting a new journey with the IUSD program. 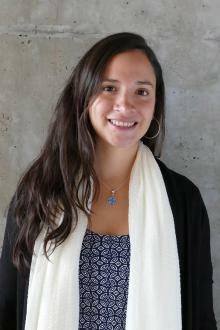 Laura was born in the heart of a caring family in Bogotá, Colombia. She studied anthropology with emphasis in health, complementing her studies in architecture. 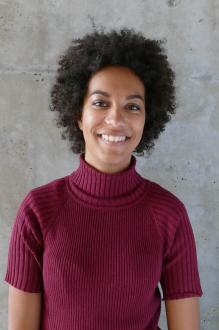 She received her title in 2014 after being awarded with a distinction for her dissertation about urban rhythms and specialization of capital in Carrera 7a. She is interested in the different urban phenomena that produce cities and the power relations implied there. Working with Despacio, an NGO that applies studies to improve the quality of life of people in urban contexts, she participated in several consultancy projects, mainly about sustainable transport in different cities and scales in Colombia. Also she has participated in projects to understand the production of urban landscapes by other materialities such as noise (perception of noise in cafés), light (smart nighttime design in Getsemaní, Cartagena with ARUP, LSE and others) and urban imaginaries through media and art (Municipal institute of arts in Bogotá and activism). Yuliia Popova was born in Yalta, Crimea, Ukraine. She studied philosophy at National University of “Kyiv-Mohyla Academy” in Kyiv, Ukraine, and also received master degree in semiotics and humanities at the University of Tartu, Estonia, in 2012. 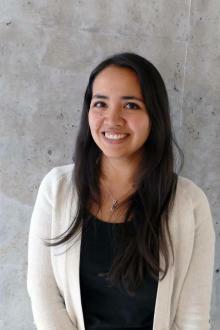 Yuliia is interested in urban planning theory, political and participatory aspects of urban planning, urban management. 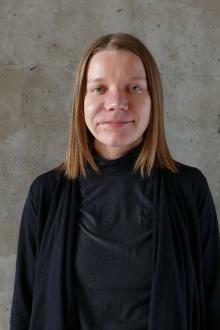 During her work as a program coordinator at a political organization Heinrich Boell Foundation’s Regional Office in Kyiv during 2013-2017, she has implemented a number of activities directed at empowering local communities and civil society, promoting sustainable participatory urban development, facilitating dialogue between urban stakeholders. She has also been involved in urban civil movement in Ukraine for more than five years and worked on establishing sustainable networks between initiatives all over Ukraine. The work and volunteering experience has brought her to the field of urban planning since she believes that fair-shared cities have the capacity to sustain and develop democracy. Malvina (*1990, Albania) studied Urban Planning and Management at POLIS University, Tiranë. During her studies she participated in workshops in different countries and volunteered in projects such as General Local Plane of Burrel, Technical Manual of Planning and Urban Development in Albania, 1st edition. She worked as an intern in project Better Journalism for Civic Education which was designed by Co-PLAN and US Embassy in Tirana. She graduated in 2015, with focus on studies how water policy was transposed form EU to Albania context, due to the fact that Albania wants join the European Union, and the assessment of water effect in coastlines. From 2015 until 2017, she worked as an Urban Planning expert for CO-PLAN, Institute for Habitat Development. During this time, she worked on the General Local Plans of six municipalities (Elbasan, Fier, Lushnje, Berat, Kuçovë and Mat). Furthermore, her responsibility was to coordinate the working group that drafted the Territorial Development Plan for the Municipality of Elbasan (Central Albania). She is co-author of seven publications. Mohamed is Senior Architect at a reputable consultant bureau in Egypt, he was graduated from Architecture and planning department, Zagazig University, Sharkia, Egypt in 2012. After his graduation he worked as a site Engineer. After a while, he opened his own company for advertising and interior design. One year later he upgraded the company and opened a new branch as a print house with investment around quarter of million pound. By in the end of this year he sold his share in company and started his studies in environmental design, a subject, which he noticed to be neglected in public architecture in Egypt. So he received the BBAc (Building performance analysis Certificate) to give him another start in buildings science and environmental analysis. He started his work as junior architect in consultant office where he produced a new plan to develop the company based on the environmental analysis framework and BIM (Building Information Modeling) platform. Subsequently, he was promoted to senior architect early and still works there until now. Currently he is enrolled in the IUSD MSc. Program in Cairo, looking forward to have a good experience, learning more and enhancing his qualifications. Martin (*1994, Ljubljana) holds a Bachelor's degree in Urbanism from the University of Ljubljana. In his thesis, he explored the possibilities of regenerating degraded urban areas in European shrinking cities by presenting an alternative spatial solution to the contemporary refugee settlements. With this project, he later participated in several exhibitions in the region and wrote an article which was published by the Urban Planning Institute of the Republic of Slovenia in the scholarly journal "Urbani izziv". During his studies, he participated in various projects, mostly dealing with urban renewal and sustainable urban planning and design. He regularly worked in an interdisciplinary and international environment (GUDP: Stockton, 3rd Tempus SEHSI: Paths to Self-sufficiency, Creative Docklands etc.) and spent one year in The Netherlands as a part of his Erasmus+ Programme, where he studied Urban Design. After his graduation, he started working for ProstoRoz association, mainly focusing on the community-based urban design and tactical urbanism. Noha (*1987, Cairo, Egypt) received her Bachelor of Urban Planning and Design at the Faculty of Engineering, Ain Shams University in 2008. 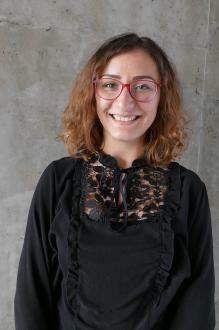 After graduation she worked as a Landscape Architect at a consulting architectural firm (DMA, Dar Al Mimar Architects) working for a real estate developer, Mountain View. She worked on several projects in more than five years of experience including residential compounds and touristic resorts, ranging from primary design stages until final construction drawings. 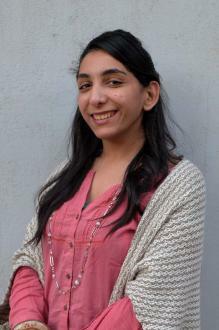 In 2017, she enrolled in the IUSD Program in Cairo in order to broaden her expertise and widen her knowledge in the Sustainability and Urbanism realm. Mauricio (*1988, Lima, Peru) studied architecture at the Peruvian University of Applied Sciences. 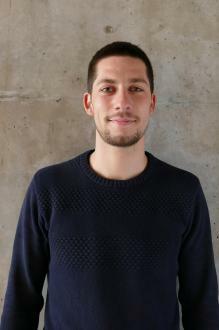 Since 2010 with a team participation in a project exposed at the London Festival of Architecture, he is interested in projects related to sustainability and human settlements. After his graduation on 2011, he worked at 51-1 Architects for 3 years, taking part in innovative architecture projects. Together with fellow alumni founded an architecture firm in 2012 and worked in small scale projects and other design related initiatives for 3 years. During that time, he was the director of “Project Puna” an initiative for social thermal housing in Peruvian Andes, which pilot scheme was possible with a grant from an international ideas competition. From 2015 to 2017 he lived in Medellin, Colombia, where he worked in the private sector and meet the process of transformation of the city. 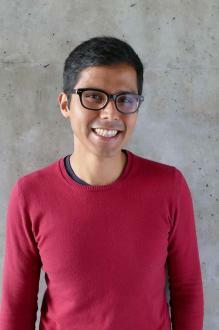 He also collaborates with interviews to relevant professionals on the field at “Maquetas Aparte” an architecture related peruvian online magazine. His work has been recognized in local media and international contests. Nardine El-Bardisy (*1994, Cairo, Egypt) got hold of her BSc. of Urban Planning and Design in 2016 from Faculty of Engineering Ain Shams University. She was enthusiastic about idea of regional and strategic planning process in addition to sustainable development and architecture. During her undergraduate study she participated in diverse workshops with cooperation with Cardiff university in London, Antwerp university in Belgium and Eotvos lorand university in Hungary. Further she worked on noise and vibration measurements at MB consultant. Also, she was trainee in Multiple architecture consultant. 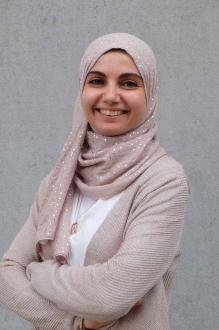 After graduation she started to work in KAF consultant as a junior urban designer. After that she worked as teaching assistant at Future University in Egypt, where she was inspired by teaching Building Design Module to undergraduate students. Afterwards she worked in Credit Hours Engineering Program at Ain shams University. Nardine has gained practical experience in Various fields including sustainable design, landscape design, regional planning and environmental impact assessment. She is now part of IUSD International program in Cairo.